Softshell jacket by SCHÖFFEL. Design LJUBLJANA with VENTURI properties. Functional, lightweight and unlined. With high closable stand-up collar, 2 zipped seam pockets, a zipped breast pocket and adjustable cuffs with rip-tape strap. Hem with elasticated drawstring and stopper. 100% polyester. Length approx. 27 ins. 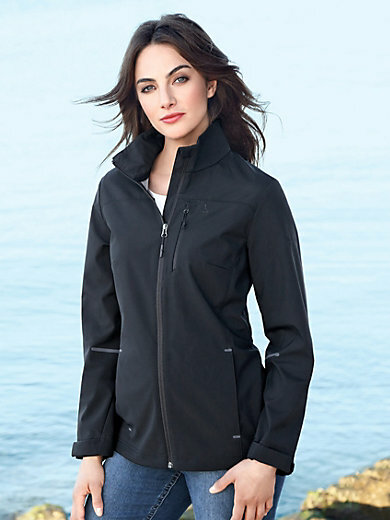 The softshell jacket is machine washable.